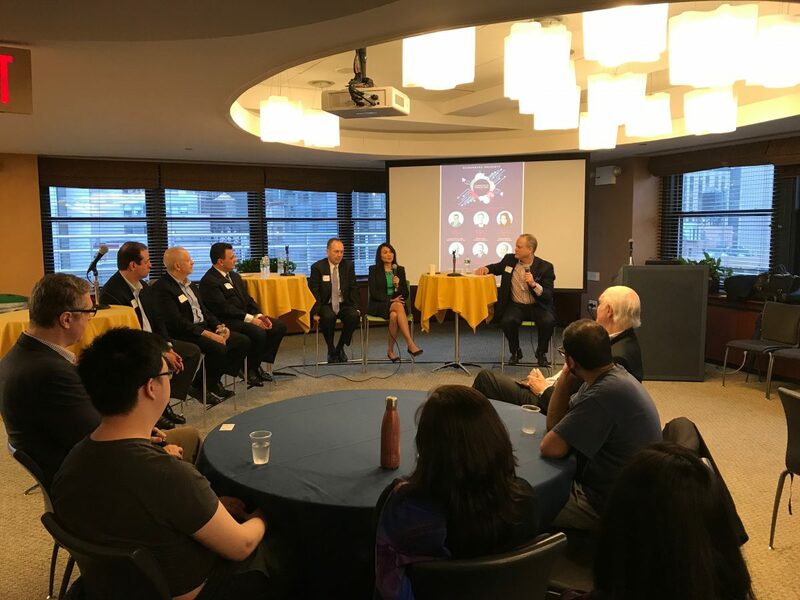 On Wednesday, April 25th, 2018 Seidenberg School of CSIS hosted Leadership in Technology – Pioneering Pace Pride, a technology and networking event with six alumni who were the first generation from immigrant families to go to college. The event was held at 165 William Street and was a great opportunity for our students to hear from and network with inspirational alumni. With six leading personalities in the technical industry, the discussion was compelling and Pace students who attended were privy to a fascinating perspective. 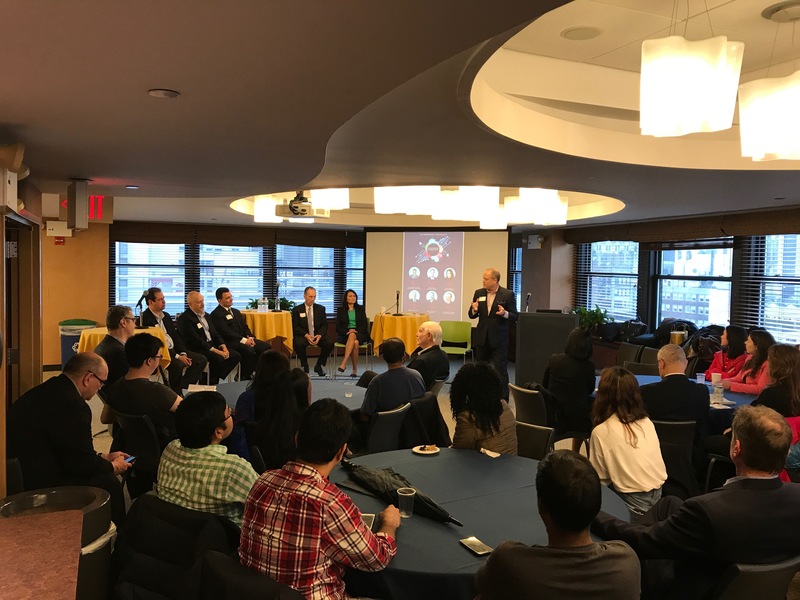 The event started with a warm welcome to all the six leaders from our Dean Dr. Jonathan Hill on behalf of the entire Seidenberg School. 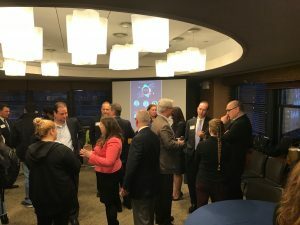 Over the course of the evening, each of our guests shared their life experiences, career stories, and as their memories of Pace University which was a great help and motivation to all our current students. Tom Reynolds –Tom comes from Ireland where he is the eldest child among five kids. He was inspired by his father (who worked for 12 hours a day) and so Tom started working at the age of 13 to support his family. After completing his high school, Tom got admitted to Pace University. Tom mentions that fellow panelist Maurice Dimeo was the first person he met at Pace. Due to his financial family conditions Tom wasn’t able to buy professional clothes for his internships that he did during his studies. Thus, he worked for loading and unloading of trucks to earn money for clothes. Tom graduated from Pace in 1982. He says “Pace gave me opportunity to work” and, presently, Tom works as Controller at Stone Harbor Investment Partners. 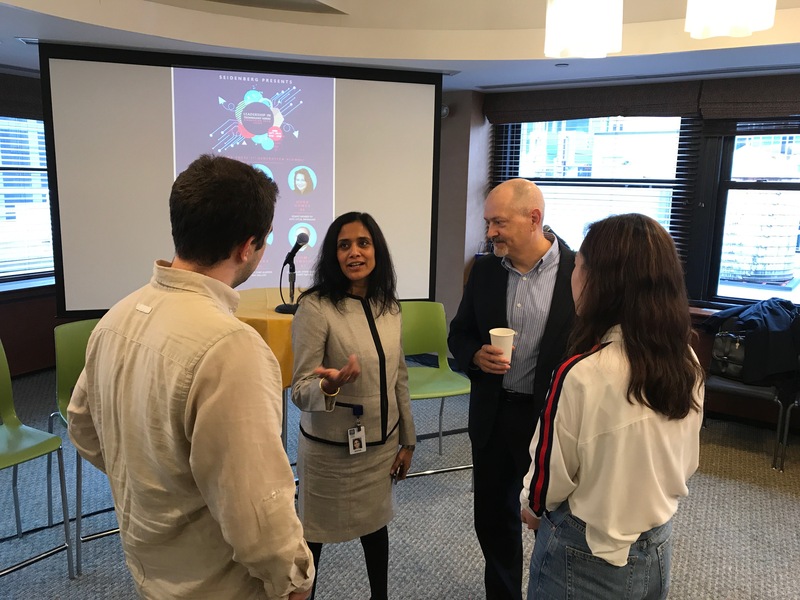 After the highly motivating discussion from the tech leaders, our students were really excited and curious to know more about their success and life achievements. Here are some questions that were asked by our current students to the panel. How did Pace give opportunities? Tom expressed: There are so many similar students in the same class. You need to be different. You need to stand out from the crowd. Pace helps to choose the right way for this which definitely was a great opportunity. Dora said: Pace has high level of education compared to other schools. Teachers give good advises not only on academics but also regarding careers. Pace helps in building relationships which definitely helps in building careers. 2. What are the necessary skills that interns and employees must have? Vito started with a great answer: “Hard work beats talent!” Everyone should be a hard worker, may he/she be an intern or an employee. Another important thing that Vito said, an understanding of the technology is really important and working passionately is a must. Dora explained this by saying that interns and employees must have respect and good manners. It’s about how a person represents himself and lastly a person’s language is important too! 3. What slogan do you live by? 4. How should Pace University’s students compete from other top level universities’ students? The event ended up with our Dean Dr. Hill’s thank you note to all the six great leaders who were a huge motivation for all our current students. We thank our panel and hope to see them all again with an amazing event like this one!